With winter ending, it's time to pack up those heavy coats and opt in for some spring sweaters. My go-to place for sweaters (or really any kind of top) is Zaful.com of course! You've probably noticed that I feature a bunch of stuff from this online shop, and that's because the prices are unbeatable, especially considering the quality. 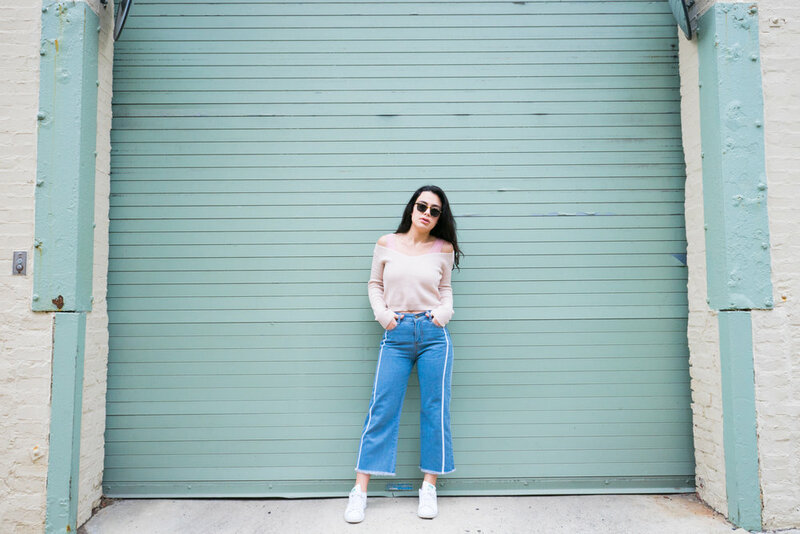 This time around, I'm featuring two sweaters and one sweatshirt that will help you get through the end of winter and into some beautiful spring weather. Featured above is the Pullover V Neck Cropped Sweater paired with the Frayed Hem Zipper Fly Jeans, both from Zaful. This sweater is not only soft and light, but it also features a revealing V-neck and cropped design, perfect for spring. While this sweater in the Apricot color is sold out, it's still in stock in the similar White hue! Below, in "Outfit #2" is the High Low Pullover Turtleneck. The breathable knit and muted berry color makes this a perfect transition piece. 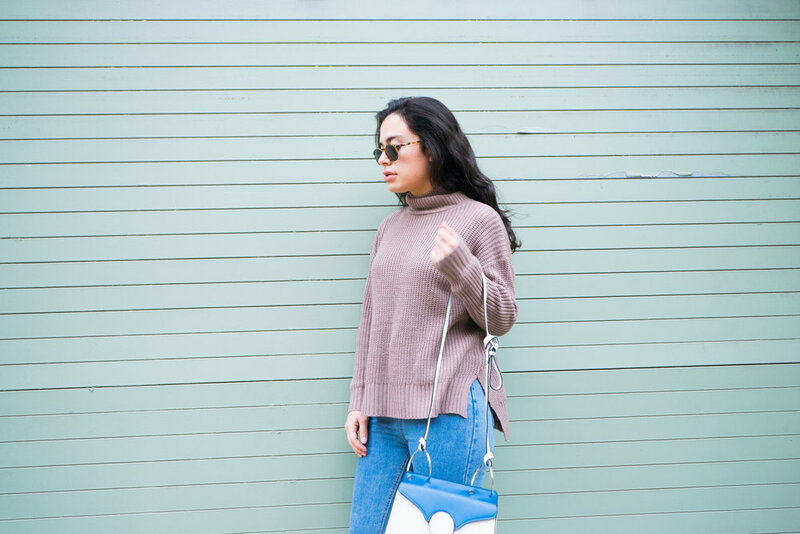 Paired with some light-wash jeans (like these) this turtleneck is spring-ready. And last but not least, is the Oversized American Flag Sweatshirt, featured below in "Outfit #3"! With the olympics still in full swing, this sweatshirt is not only trendy but timely. It also makes for a sporty alternative to a jacket on a cool spring day. There are plenty more cute spring transition sweaters where these came from! Just check out the rest of the Zaful sweater collection. Also, if you're looking for some cute crop tops for this upcoming Spring Break vacation, I highly suggest checking out all the trendy crop tops that Zaful has in stock. Happy shopping friends!